Ivan Fallunovalot won the 2016 Grade 3 De Francis Dash at Laurel Park. Highlighted by the ground-breaking Maryland Million program, four graded events and a tribute to retired legend Ben’s Cat, the Maryland Jockey Club will offer 44 stakes worth $4.42 million in purses during its upcoming fall meet at Laurel Park. The 60-day fall meet runs Friday, Sept. 8 through Sunday, Dec. 31. Racing will be conducted Fridays through Sundays in September and Thursdays through Sundays from October to December. There will be a special cards on Columbus Day Monday, Oct. 9 and Tuesday, Dec. 26 and no racing on Christmas Day. Notably, the Grade 3 Frank J. De Francis Memorial Dash, usually contested in November following the Breeders’ Cup, will take place this year in mid-September. There will be eight Super Saturdays at Laurel with multiple stakes races. Laurel will also host several special events including the sixth annual Brew & Bourbon Classic Saturday, Nov. 18. “The Maryland Million remains one of our best days of racing and a very special day for all of Maryland. We’re also excited about the Baltimore/Washington International Turf Cup., which will serve as a forerunner to the DC International, and the De Francis, which attracts some of the country’s top sprinters. Celebrated as ‘Maryland’s Day at the Races,’ a concept that inspired similar events at tracks across the country, Jim McKay Maryland Million Day returns for its 32nd year on Saturday, Oct. 21 with 11 stakes worth more than $1 million in purses and incentives topped by the $150,000 Classic, won the past two years by Admirals War Chest. The $250,000 Frank J. De Francis Memorial Dash (G3), at six furlongs on dirt, highlights a program of seven stakes, six contested over Laurel’s world-class grass course, worth $900,000 in purses for the Laurel Turf Festival Saturday, Sept. 16. Listed grass stakes that day are the $150,000 All Along, formerly known as the Lady Baltimore, $100,000 Laurel Dash and $100,000 Laurel Turf Cup. There will be eight stakes worth $850,000 in purses on Commonwealth Day, Saturday Sept. 30, including three graded events – the $200,000 Baltimore/Washington International Turf Cup (G2), previously run as the Commonwealth Turf Cup, $200,000 Commonwealth Derby (G3) and $150,000 Commonwealth Oaks (G3). Past winners of the Turf Cup have included Kitten’s Joy, English Channel and Gio Ponti, while Onus, My Typhoon and Dreaming of Anna have previously won the Oaks. 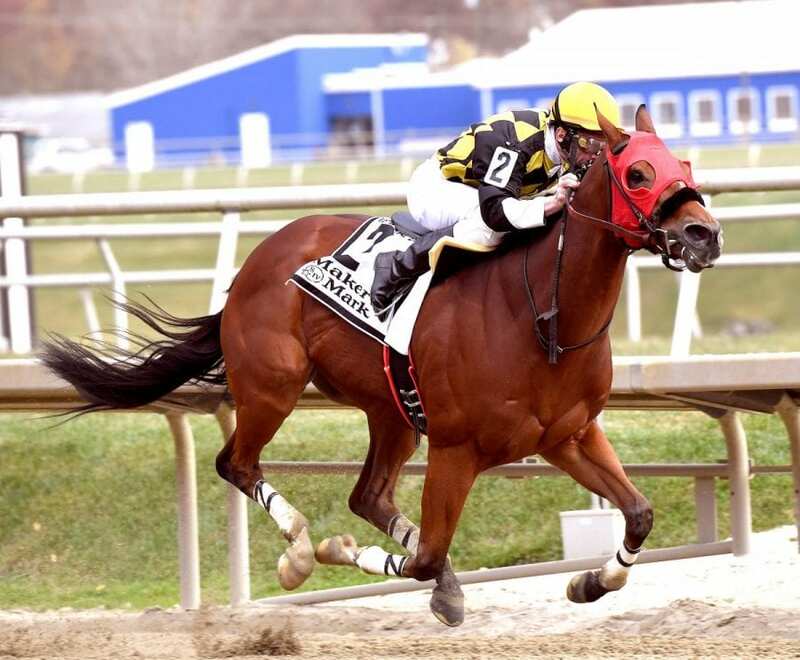 Recently retired Mid-Atlantic legend Ben’s Cat, a 26-time stakes winner, four-time Maryland-bred Horse of the Year and earner of nearly $2.7 million in purses, will be feted on Saturday, Nov. 11. Helping to comprise the card are six stakes worth $575,000 in purses that include the $100,000 James F. Lewis III and $100,000 Smart Halo for 2-year-olds and $100,000 City of Laurel and $100,000 Safely Kept for 3-year-olds. The $100,000 Maryland Juvenile Futurity and $100,000 Maryland Juvenile Filly Championship are among four stakes worth $375,000 in purses to be contested Saturday, Dec. 9. The stakes program concludes with six events worth $550,000 in purses Saturday, Dec. 30 featuring the $100,000 Dave’s Friend and $100,000 Thirty Eight Go Go for 3-year-olds and up and $100,000 Heft and $100,000 Gin Talking for juveniles. Laurel’s fall stakes season gets under way with the $75,000 Challedon for 3-year-olds and up and the $75,000 Shine Again for fillies and mares 3 and older on Saturday, Sept. 9. The current summer meet at Laurel Park concludes Sunday, Aug. 20 before racing moves to the Maryland State Fairgrounds in Timonium for its 10-day meeting Aug. 25 to Labor Day, Sept. 4.